A circular, which permits principals of State Schools to admit international and private school students who had successfully completed their GCE O/L to do their GCE A/L will be issued this week putting an end to the uncertainty and heated arguments on this matter, a senior source of the Education Ministry said. The source said the withdrawal of a circular prohibiting the admission of private school students to government schools for their GCE A/L did not arise because the Education Ministry had not issued such a circular in the first place. For the first time the Northern Province has the largest number of students qualifying for university entrance at the G.C.E. Advanced Level examination. about 68.3%of the total 16,604 students who sat the examination from the Northern Province gained university entrance. There are 10,008 Students sat G.C.E A/L examination from Jaffna District and 1,457 students from Kilinochchi, 1,336 from Mullaitivu, 2,265 students from Vavuniya South and 1,568 from Mannar. And 1,633 were private candidates. And there are more Northern students entering university especially in the science, medical and engineering fields in last year examination. This is a good indication of the country development and the northern province development to improve the quality of education along with the peace environment. More than 3S0 students who passed the GCE Advanced Level examination 2013 with flying colours will receive scholarships abroad to follow higher studies. Higher Education Ministry sources said students who performed well at A/L Examinations are granted foreign scholarships annually. Seven scholarships will be granted to the students to follow higher studies in medical and dental sciences in Bangladesh, Applications have been called for the scholarship scheme. Interviews are scheduled to be held in the first week of January. Meanwhile, 180 scholarships will be offered to students in graduate and doctoral studies in India. Interviews will be held at the end of next month. Students will also be granted a considerable number of scholarships under the Commonwealth higher education program to study in China, Russia, Japan, Nepal and Cuba. The new Automated Library system and Digital Library of the Open University of Sri Lanka (OUSL) at Nawala was declared open by Higher Education Minister S.B. Dissanayake recently. The system supports all library housekeeping functions, including library backed administration, acquisitions, cataloging, circulation, periodical title/ article management .The system is equipped with a powerful search engine to supplement these advanced requirements. 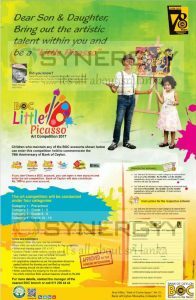 The new system has been designed according to International Library Standards. A salient feature of the new mechanism is that it works as an online public Access Catalogue (OPAC) and as a Digital Library. The system is interactive so that it is ‘user-powered’. The importance of this system is that this Digital Library can be accessed by public. The Digital Library can be accessed through following URL: http://search.lib.ou.ac.lk. “The system is customized, implemented and fully maintained by the library staff at no cost. The new system will save millions of rupees which otherwise have gone to the universities abraod to seek relevant facilities,” she said. Meanwhile, Minister S.B. 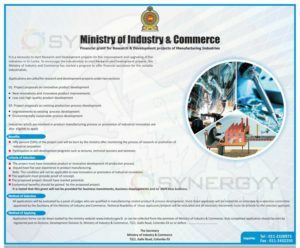 Dissanayake promised that more new components will be added to the existing facilities at the OUSL to expand the capacity of the institution. He said although the OUSL made good profits, the primary focus of the institution was to supplement the country’s work force by producing skilled professionals in a variety of fields through quality education. To fulfil this task, he urged the OUSL staff to work with dedication and commitment and added that the government was prepared to provide whatever assistance necessary to expand facilities for both the institution and staff. The Education Ministry made a Statement the a holiday had been declared for all the Tamil Schools in The Country tomorrow 1st in view of Deepavali which falls on November 2. 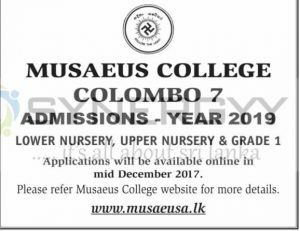 Those who did G.C.E (A/L) Examination in 2012 and waiting for university admission for academic Year of 2012/2013 could obtain their University entrance application forms from your nearest bookshops. 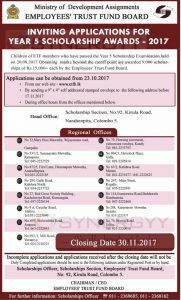 It is mandatory to fill this application form and send it University Grants Commission to selects students for admission to undergraduate courses for 14 National universities and 4 institutes. How to Check my G.C.E (O/L) Examination Result? Yes, your G.C.E (O/L) Result released today, you could able to check your G.C.E (O/L) Examination Result online now. Where can I Enter my Index Number? 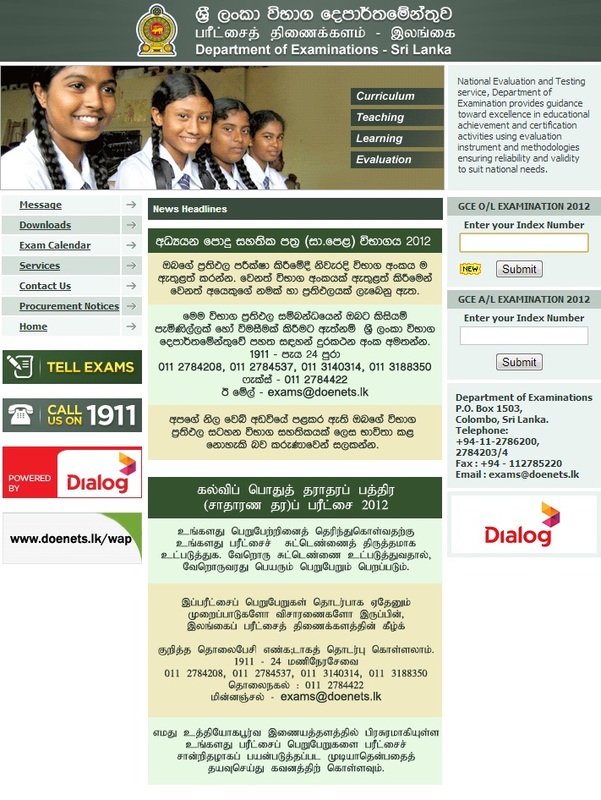 At Department of Examination website of www.doenets.lk; on right hand side of the page you could see the examination result announcement with space provided to enter your Index. How Can I Makesure the result is for my Academic Year? How can I Makesure the result is mine? After you enter your index number and submit at www.doenets.lk , your result will appears with your Name as it is in examination admission form. Will I able to apply re-correction by Online? No, you can’t apply re-correction by www.doenets.lk or any other website. Posted on April 4, 2013 April 5, 2013 Categories Education, My Observations and thoughts, NEWS, Prasanna's Diary (Sharing), Scholarship for Srilankan Students and Working Professionals, Sri Lanka News, Srilanka School Education Events and NewsTags Department of Examinations, Education Supports, Examination Result, Examination Time Table, G.C.E (Advance Level) Examination, G.C.E (Ordinary Level) Examination, Grade 5 scholarship examination, ministry of Education Sri Lanka, school Education Sri Lanka, SynergyY Education Support 201372 Comments on How to Check my G.C.E (O/L) Examination Result? The Education Ministry and the Chinese Confucius Institute will take measures to teach Chinese language in Srilankan Government schools. This is one of the important steps taken by Srilankan Education Ministry to educate Muliti languages into School level, where the students will learn Tamil, Sinhala, English and Chinese would help them to be communicate easy with in any Asian countries. This approach could help to obtain more knowledge sharing and learning from china and improve the localize skill in Srilanka. While if government introduce to educate the Second languages as a compulsory subject would lead unity in Srilanka and everyone know every language.